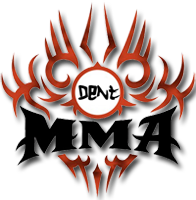 MMA-Torrents.com Forum • View topic - Any Good Boxing Instructionals on here? Post subject: Any Good Boxing Instructionals on here? Hey guys, I just joined this tracker and I'm completely blown away with the amount of content to be found here. With that being said, are there any boxing instructionals on here that you would recommend? Of course, nothing beats a good coach and sparring but I'm just looking for anything to supplement my training.